Purchase your tickets to the PWA Aloha Night 2017! Have you purchased your tickets to our final event of the year?! Join us as we celebrate the end of another amazing year, Pasifika style! 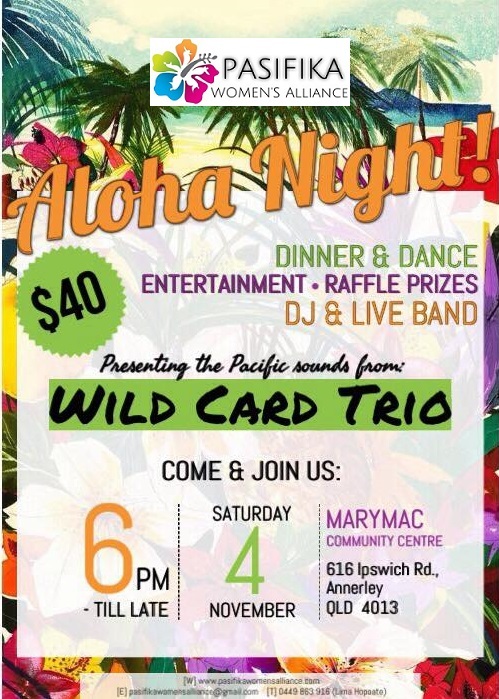 DJ | LIVE BAND – WILD CARD TRIO! Please share this event, invite your family & friends, come along in your island wear and support our Pasifika Women’s Alliance!